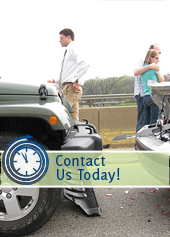 Chances are that you are dealing with a lawyer if you have recently been involved in an auto accident. Attorneys in the St Paul area regularly refer their clients to our staff at Caron Chiropractic Clinic, P.A., because the care of our customers is our number one priority. Minnesota is a no fault insurance state, meaning that regardless of who is at fault, you will have coverage to get your auto injury addressed by any medical professional that you choose. So, take the advice of your attorney and let our experienced chiropractic staff evaluate your health after a car accident and come up with a treatment plan that can get your health back to 100%. Chiropractic manipulations and adjustments can be the perfect cure for an auto injury. If you have recently been involved in a car accident in the St Paul, MN area, do not put off being seen by a medical professional any longer. Come visit our welcoming staff and let us evaluate your body to ensure that no auto injuries have occurred. Give our team at Caron Chiropractic Clinic, P.A., a call today at (651) 255-9999 to set up an appointment soon! We specialize in whiplash and other auto injuries and pride ourselves in getting individuals back to 100% health in a timely manner. This entry was posted	on Wednesday, July 27th, 2016 at 2:01 pm	and is filed under Auto Injuries, Chiropractic, Chiropractic Treatments, Whiplash. You can follow any responses to this entry through the RSS 2.0 feed. You can leave a response, or trackback from your own site.